Apex Legends has been keeping steady along the road of success since its surprise launch last month. Ever since the, the free-to-play battle royale game has racked up over 50 million players, banned 1% of them, and has officially kicked off its first season with its very own Battle Pass for fans to enjoy. In addition to this, the developers have even introduced an entirely new Legend, who arrived with the Season 1 Battle Pass. However, players have begun to pay attention to how Octane runs, and it turns out they aren't the only ones who are getting a good laugh out of the new Legend's running skills. As can be seen in the video above, Octane is very animated when he runs. Comically animated, some might say. In fact, the way in which Octane runs was even funny to the animation team when they were filming the motion capture for it. One of the Respawn devs commented on the above post, saying, "We (the animation team) literally could not stop laughing when we were shooting these run cycles at the MoCap stage. It was a blast :D."
When someone responded with a possible scenario on how it all went down in the creative process, the dev replied, "looking as stupid as possible is already a given the moment you walk into the stage in a spandex onesie with little dots all over your face, plastic mini golf balls velcroed to your body and holding a 'gun' made out of pvc pipes." Some other Redditors mentioned what we are all thinking: we need to see some behind the scenes footage because that all sounds absolutely hilarious. 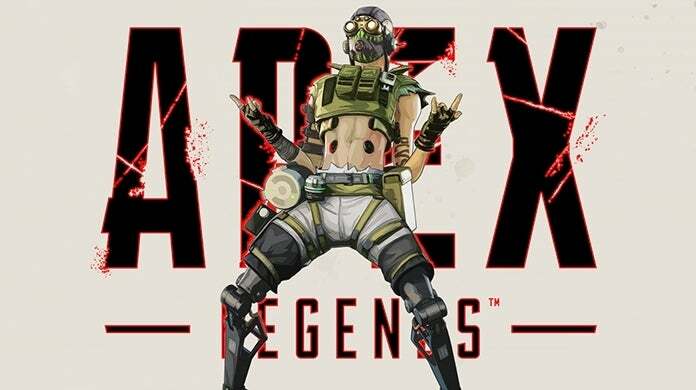 Season 1 of Apex Legends is currently underway on PC, PlayStation 4, and Xbox One. You can read more about the hot new battle royale title from our previous coverage. What do you think about all of this? Will you laugh every time you see Octane run from now on? Have you already been laughing? Sound off in the comment section below, or feel free to hit me up over on Twitter @anarkE7!